Individuals treated for multidrug-resistant tuberculosis (MDR-TB) with aminoglycosides (AGs) in resource-limited settings often experience permanent hearing loss. 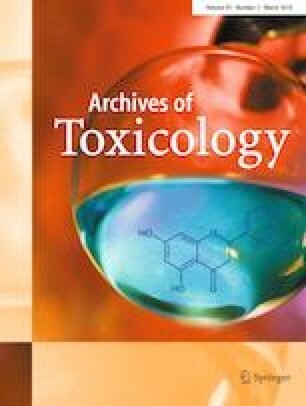 However, AG ototoxicity has never been conceptually integrated or causally linked to MDR-TB patients’ pre-treatment health condition. We sought to develop a framework that examines the relationships between pre-treatment conditions and AG-induced hearing loss among MDR-TB-infected individuals in sub-Saharan Africa. The adverse outcome pathway (AOP) approach was used to develop a framework linking key events (KEs) within a biological pathway that results in adverse outcomes (AO), which are associated with chemical perturbation of a molecular initiating event (MIE). This AOP describes pathways initiating from AG accumulation in hair cells, sound transducers of the inner ear immediately after AG administration. After administration, the drug catalyzes cellular oxidative stress due to overproduction of reactive oxygen species. Since oxidative stress inhibits mitochondrial protein synthesis, hair cells undergo apoptotic cell death, resulting in irreversible hearing loss (AO). We identified the following pre-treatment conditions that worsen the causal linkage between MIE and AO: HIV, malnutrition, aging, noise, smoking, and alcohol use. The KEs are: (1) nephrotoxicity, pre-existing hearing loss, and hypoalbuminemia that catalyzes AG accumulation; (2) immunodeficiency and antioxidant deficiency that trigger oxidative stress pathways; and (3) co-administration of mitochondrial toxic drugs that hinder mitochondrial protein synthesis, causing apoptosis. This AOP clearly warrants the development of personalized interventions for patients undergoing MDR-TB treatment. Such interventions (i.e., choosing less ototoxic drugs, scheduling frequent monitoring, modifying nutritional status, avoiding poly-pharmacy) will be required to limit the burden of AG ototoxicity. The online version of this article ( https://doi.org/10.1007/s00204-019-02407-8) contains supplementary material, which is available to authorized users. Research reported in this manuscript was funded by the National Institute of Allergy and Infectious Disease (R01 AI104488-01A1 to J. Farley), the National Institute of Nursing Research (F31 NR016910-01A1 to H. Hong) of the National Institutes of Health, Sigma Theta Tau International Global Nursing Research Grant, Sigma Theta Tau International/Association of Nurses in AIDS Care Grant, Global Korean Nursing Foundation Scientific Award, Dr. Scholl Foundation Dissertation Scholarship, the Johns Hopkins Center for Global Health Established Field Placements Grant. We would like to express our appreciation to Martin Blair for his editorial support. The content is solely the responsibility of the authors and does not necessarily represent the official views of the aforementioned organizations/institutions. The authors declare that they have no conflict of interest.